Right, here's my finished (for now at least) Corsair list. Entries with an asterix next to them are things I still have to make, and a double asterix means that I still need to buy them! 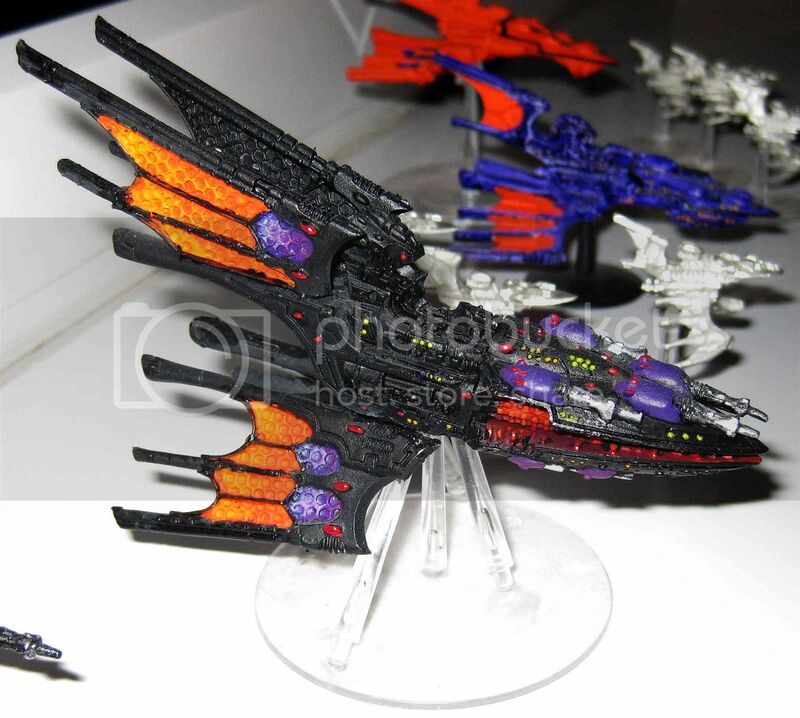 Void Stalker Battleship - "Khal Harai"
I have painted a load more of my fleet - almost finished my Void Stalker, the Khal Harai. Done the three Hellebore frigates that don't have broken bases. I've also started painting the Raiph Brathu-angau, my second Shadow Cruiser. And it's only taken three (ish) years! Another update - I'm going to translate the names of my ships, for those who care. Are we ever going to see some pics of them? Glad you like 'em, took me ages to look all of them up (I couldn't remember their meanings since I wrote them ). Pics - mah, I really want to, but I can't find my digital camera anywhere. If I can borrow one then hopefully they'll not be too far off. Pics now up, check the viewing deck/showcase board.